Newly promoted Detective Sergeant Joy Marsh is shipped out to Dover on the Kent coast to work under Detective Inspector Romney, a copper with a reputation as a cantankerous man but good at his job. On her first night as his sergeant, a brutal crime in the town starts a chain of events that will test the grit, the resolve and the detective in both of them. It’s a hot, dry summer on the Kent coast, and the heat is getting to people. A nasty death on the thirteenth green of the local golf course sets in train a series of events that puts a spike in the town’s seasonal crime statistics. The members of Dover CID are at full stretch and each other’s throats as the dead bodies start piling up. Is it the weather? Or is someone just out to make a killing? When a film company comes to town, history rears its ugly head and Detective Inspector Romney makes himself a powerful enemy. But he’s not the only member of CID who needs to watch their back. There are scores old and new to settle on the Kent coast. As tempers flare and temperatures rise, good reason and common sense give way to dark and deadly deeds. The third Romney and Marsh File builds to an explosive climax. Contrary to vicious Internet rumours, Detective Inspector Romney is not dead. He returns to lead his team of Dover detectives in the hunt for a killer. He’s also looking for answers to more personal mysteries. Broken homes, broken dreams and broken bodies are just some of the cheerier aspects of the Romney & Marsh File that goes to show sometimes it’s a dog’s life. A rotting corpse is discovered in one of Kent’s old coal mining communities. 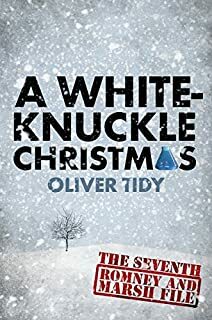 In their search to uncover the identities of the victim and those responsible for the death and concealment of the body, Detective Inspector Romney and his team must confront and deal with issues of prejudice, bias, loyalty and betrayal (and that’s just amongst themselves). Dover CID is enjoying a period of relative calm. That is until DI Tom Romney gets linked with a disturbing find in a dead man’s flat; DS Joy Marsh gets involved with things that go bump in the night; DC Peter Grimes gets friendly with a ride-along author; DC Derek Spicer gets drunk and Superintendent Vine gets taken in by a ruse. Can the members of Dover CID come through their individual trials unscathed or is it the end of the line for someone? Why have I only recently found your wonderful books, they are fast paced, well written, believable, funny and take in all aspects of daily life without the unnecessary detail that some others choose to pad out their stories with which do noting to add to the plot. Well done for creating utterly believable characters in real life settings. I really do look forward to reading more of Booker & Cash and Romney and Marsh so please do not hang up your pen just yet! 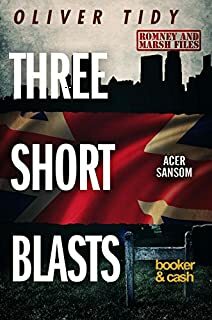 I am just about to start the Acer Sansome books, though if they are anything like as well written as Romney it shouldn’t take me long. Keith, many thanks for taking the time and trouble to comment, and so positively, on the books. Much appreciated. I had such a lot of fun writing those series. Taking a break from it all at present, but I do intend to bounce back in the not too distant future. Oh dear I saw the emails on my phone and my heart started racing Oliver is mailing about a new Romney and Marsh I thought . How on earth will I cope?